Easy to use. Rust proof. Looking for a quick and easy way to link your chain? Our galvanised D-shackles are perfect for attaching your chain to other chains and structures. Our hot dipped galvanised shackles are perfect for general use around the farm. Each D-shackle is made from quality steel and can be easily welded onto a post or other steel surface. It is made up of a steel body and screw pin. ARE YOUR D-SHACKLES LOAD TESTED? No. This range of D-shackles is not load tested. We recommend you do not use them for heavy lifting or towing. 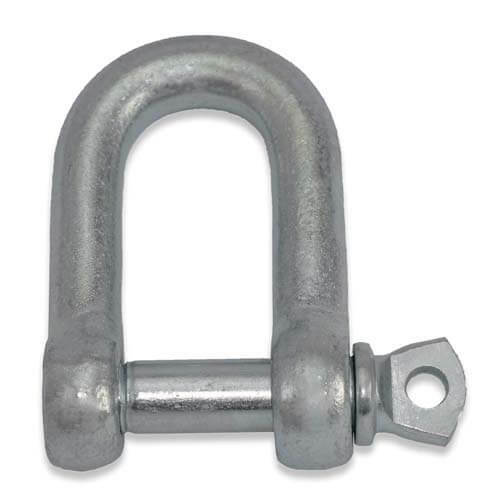 If you need a high tensile D-shackle, we recommend you check out our range of Galvanised Load Rated D-Shackles.